C.T. Pan took advantage of Dustin Johnson’s back-nine meltdown to win the RBC Heritage for his first PGA Tour title, a one-stroke win over Matt Kuchar. 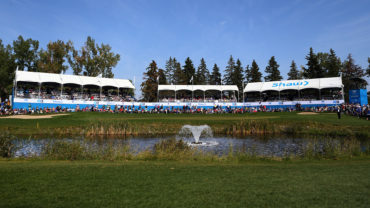 …Adam Hadwin returned to the Tour for the first time in almost a month, snapping a streak of two straight missed cuts. …Nick Taylor has made the cut in each of his last seven Tour events. 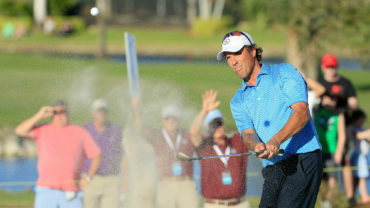 His third round 68 was just three strokes shy of the best round of the day. …Mackenzie Hughes has made the cut in each of his last four tournaments. …Ben Silverman continued his trend of late of making the weekend cut after missing the cut in the previous event. Brooke Henderson captured her eighth career LPGA title, shooting a 2-under 70 to win the Lotte Championship for the second year in a row. 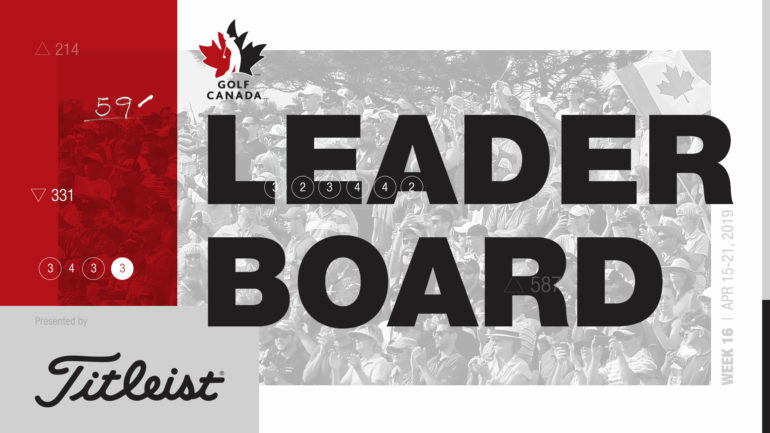 With the win Henderson joins Sandra Post, Mike Weir and George Knudson for the most career victories on the LPGA or PGA Tour by a Canadian golfer. Through seven events this year, Henderson has made six cuts, has one victory and three top-10 finishes. …Through six events this year, Alena Sharp has played the first two rounds in even par while playing five of eight weekend rounds at 5-under par. …Anne-Catherine Tanguay missed the cut for the third time in five events this year. …In the four events she has missed the cut, rookie Jaclyn Lee has played the opening nine rounds in 21-over par. ...Brittany Marchand has yet to make a cut in her first five LPGA events this year. Lanto Griffin made a 7-foot birdie putt on the 18th hole to force a playoff, and he won with a birdie on the fourth extra hole in the Robert Trent Jones Golf Trail Championship. …Ryan Yip recorded only his third result of the season, snapping a streak of four missed cuts. 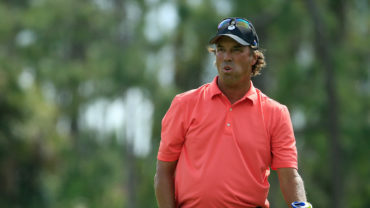 Scott McCarron completed a wire-to-wire victory in the Mitsubishi Electric Classic for his third victory at TPC Sugarloaf. McCarron finished two-strokes ahead of Jerry Kelly, Joe Durant, Kirk Triplett and Kent Jones for his ninth victory on the 50-and-over tour. …Stephen Ames recorded just his second top 10 result in seven events this year. It also equalled his best result of the season. 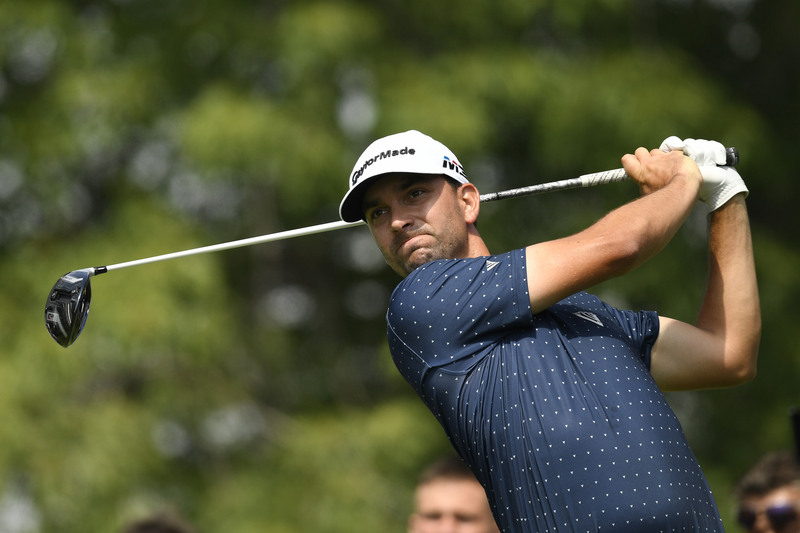 John Somers made eagle on the par-5 18th hole for a 5-under 66 and a two-shot victory over Alex Weiss in the Chile Open.